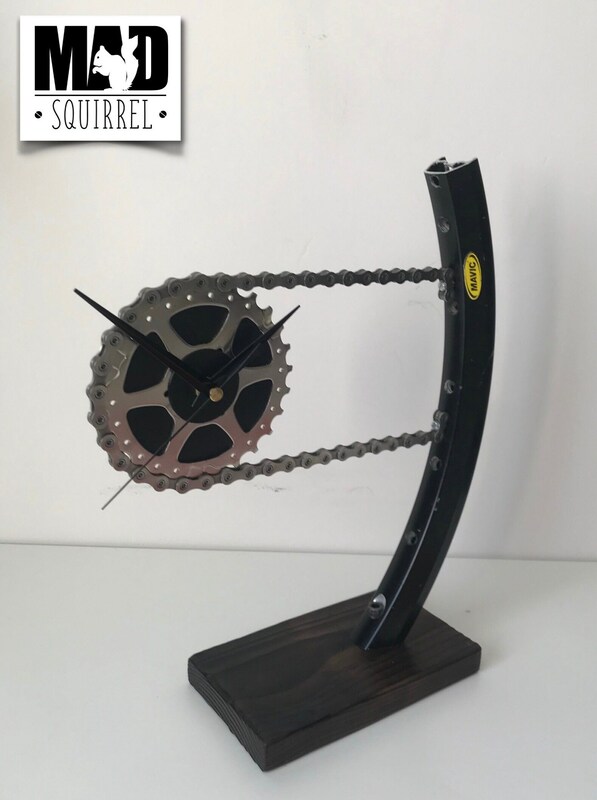 Beautiful, individualy made Rim and Sprocket Clock. 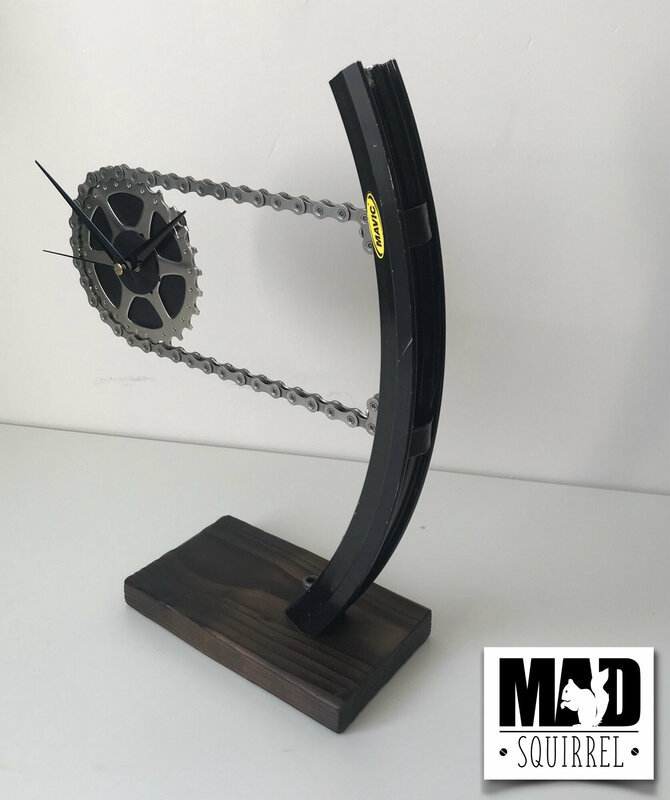 This clock has been created using a section of upcycled Mavic Rim and new chain and sprocket. The design is based on the look of a cassette and rear wheel. The clock floats off to one side of the rim and makes the clock very stable. 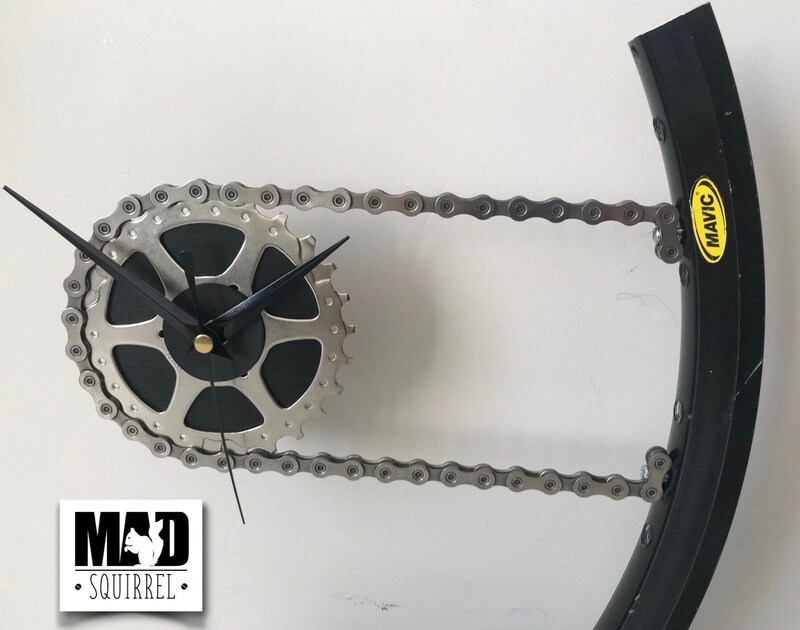 The chain has been polished to give it a wonderful look with the sprocket and black face. 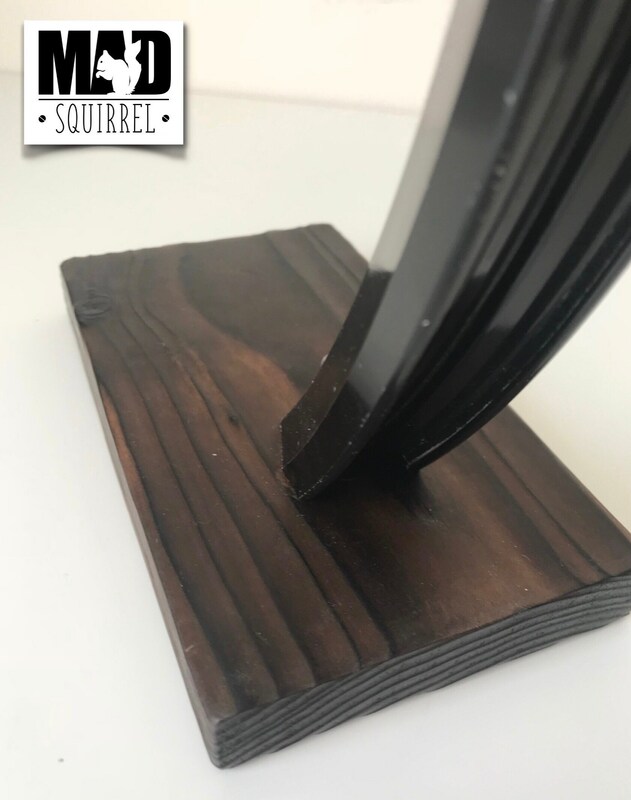 The base has been specially made by burning wood and waxing it to give it the superb weathered look that can be seen in the photos. This not only give the wood a wonderful colour but also enhances the grain. 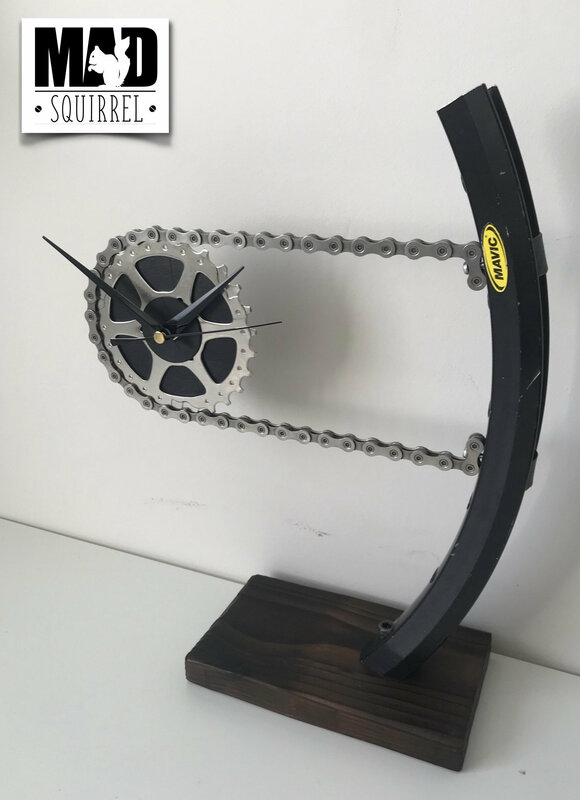 The wheel rim is up-cycled and does have a few marks on it adding to the overall desired look for this clock, all shown on the photos. 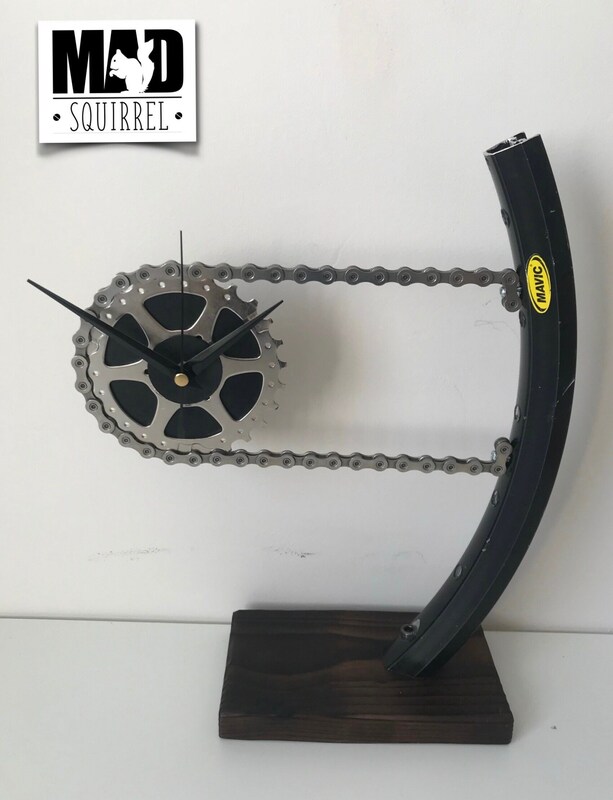 This clock will be a focal point of any shelf, desk or mantle piece. 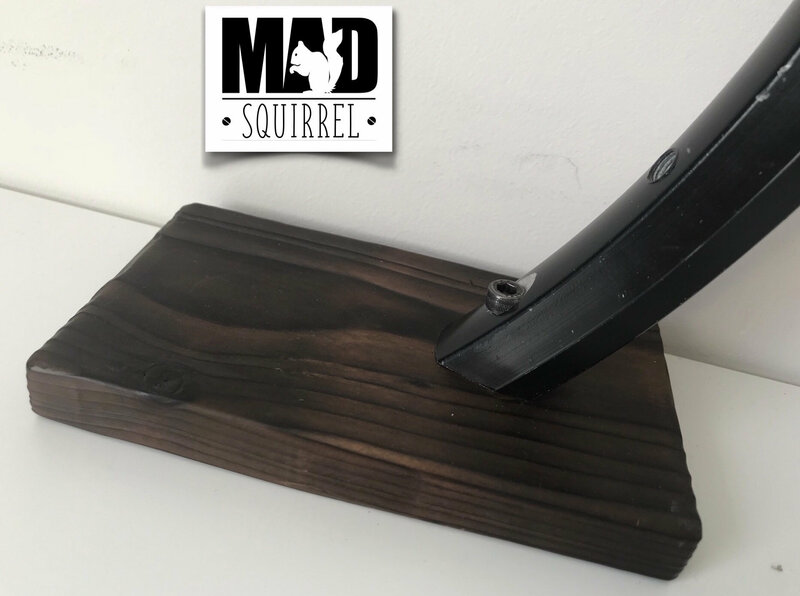 An original MADsquirrel design. The single AA battery for the clock isn’t included as it can cause problems posting via Royal Mail.